Vicky Kustov has joined Elite Realty Experts to continue to service the town of Burlington, MA and its surrounding areas. 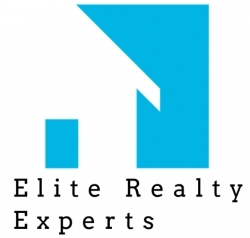 Burlington, MA, January 11, 2019 — Elite Realty Experts, one of Burlington, Massachusetts' new and emerging real estate brokerages, is pleased to announce that Victoria “Vicky” Kustov has joined their office at 101 Cambridge Street – Suite 210 in Burlington. Vicky comes packed with a wealth of knowledge of the Burlington real estate market, as well as the surrounding areas. Her specialties in real estate lie in Seller and Buyer representation as well as short sale and REO properties. Vicky has been a Realtor in the Burlington area for over 10 years. In that time, she has amassed a reputation that has taken her to top producer status. She has been recognized by Best Agent Today Magazine as a “Top Producer” for 2018 and has been also been featured in “Who’s Who in Boston Real Estate” by Boston Magazine in 2017 and 2018. Next articleNeural Corporation Passes IBM Watson.